This is the distribution box for the water level detector system using electrode sensor, design and built by Hong Lam Engineering Pte. Ltd. . 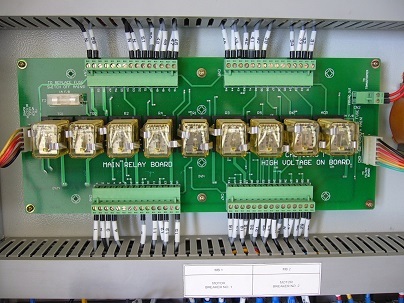 The system consists of a total of 8 electrode sensor for 2 water tank. Each tank has electrode sensors of 4x different length to detect the water level. When the water is too low, a water pump can be activated to transfer water to/from the tank. An emergency sensor is also position to prevent the water level being too high which can result is water overflow damage. 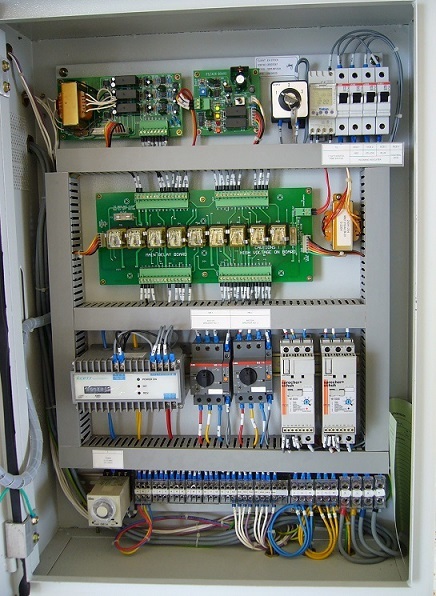 The water level system is completely automated through the electrode sensors and pumps system. 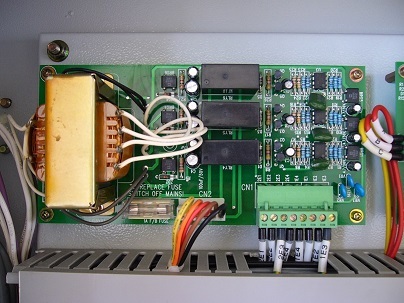 The water level system is also wired up with indicators to alert the user. Remote monitoring can also be implemented so that the status can be monitored from a central control room. 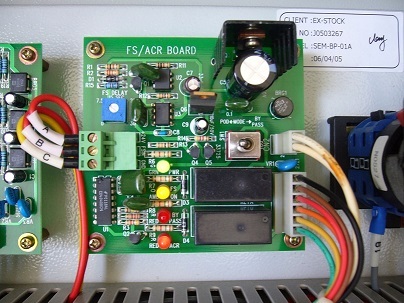 The electronic control boards can be wired accordingly for your own water level control. 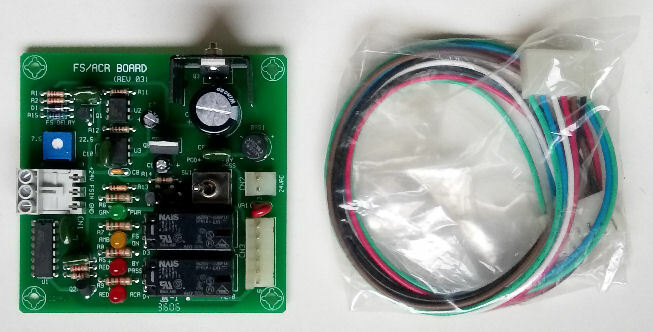 Contact Hong Lam Engineering to buy this water level detection system. 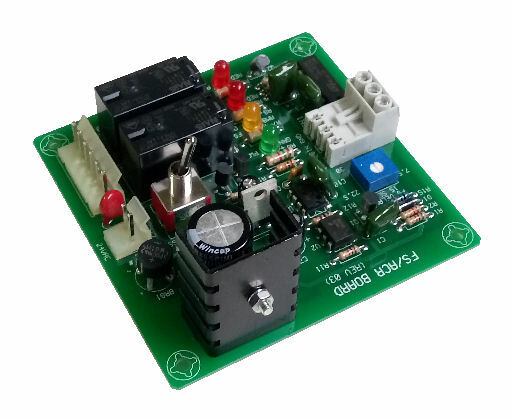 Click here if you are looking for other types of water level sensors for your project. 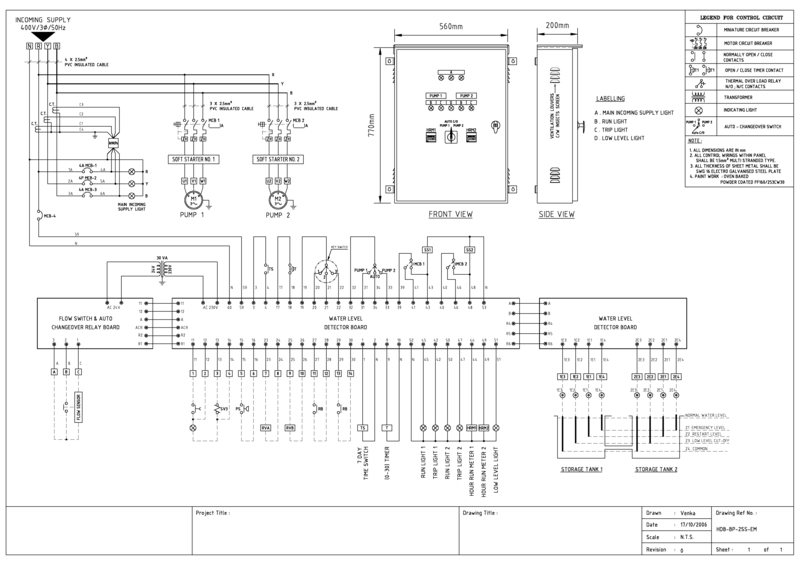 Click here to view an example of the water level system wiring diagram. 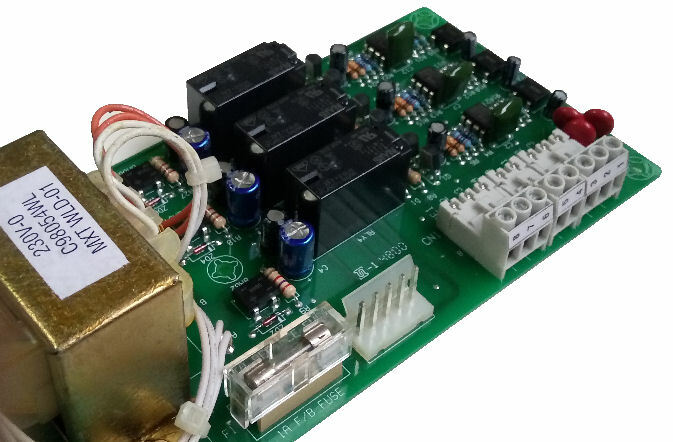 The water flow switch board detects the water flow and will activate the system accordingly. 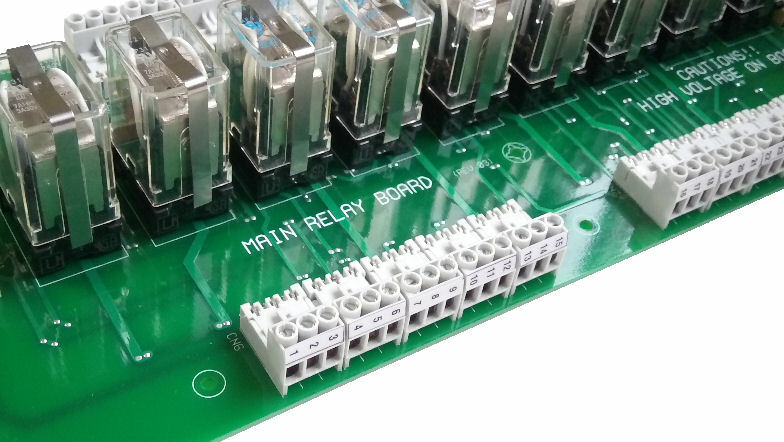 The water level detector relay board consist of 8 relays. 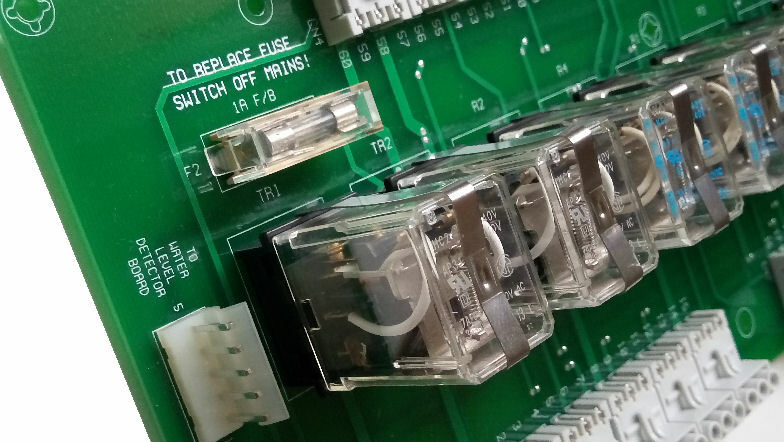 Each is activated by the connected electrode sensors that are detecting the water level. When a water level is detected, the relay will be active, hence allowing the system to activate pumps, motor, etc… or alarm to alert the user. 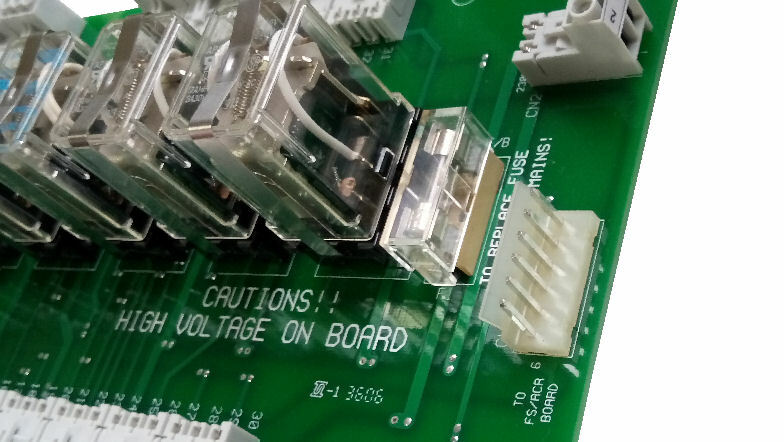 The interface is simple to understand and the wiring is easy to connect. please contact Hong Lam Engineering Pte. Ltd (Your Specialized Pump Contractor). 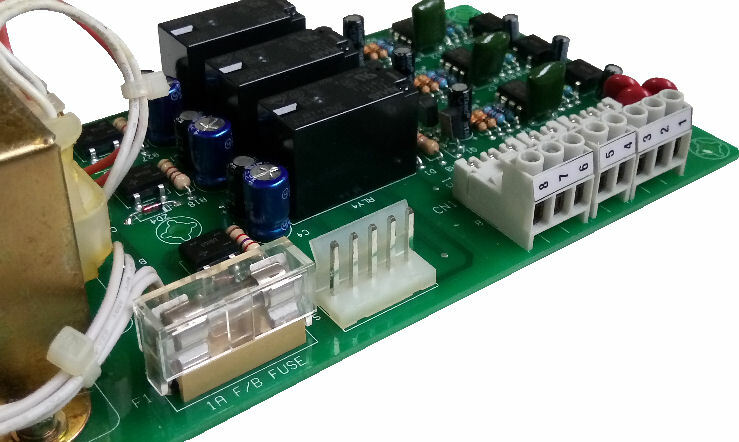 Also check out the other sensor electrodes, pumps and accessories product and services offering at their website (http://hlameng.com). Click here to explore more water level sensors and technologies.